"Not to be missed!" THE GUARDIAN. 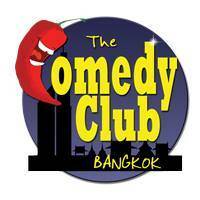 The Comedy Club Bangkok proudly presents AWARD-WINNING JOHN ROBERTSON'S THE DARK ROOM! With 4,000,000 YouTube hits and counting… 250,000 audience members streaming online via Twitch… 3,000 screaming people in one theatre… over 200 live performances around the world. It's a hit smash live interactive action video game with the incredible JOHN ROBERTSON! Inspired by old fashioned text based video games, John Robertson has made one of the most brilliant nights of comedy you will ever see. John Robertson's credits are too long to list in their entirety, he was recently on COMIC RELIEF with The Dark Room and is routinely award 5&4 stars by publications including Three Weeks, The Sun, Chortle, The Scotsman and many more. So what exactly is THE DARK ROOM? To get an idea check out the video! 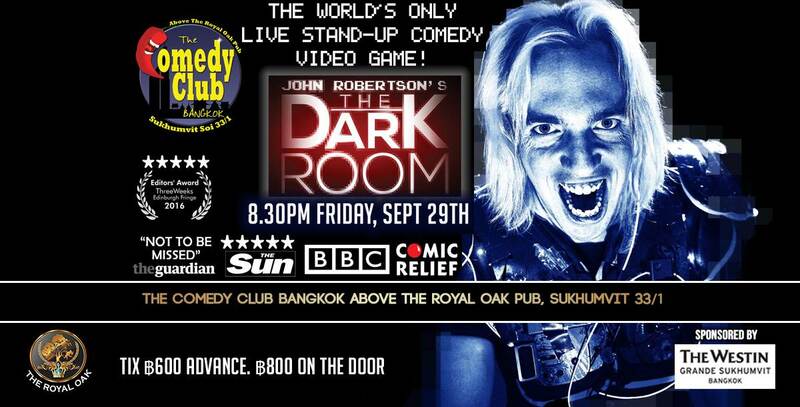 And join us for a unique, interactive one off comedy experience at The Comedy Club Bangkok where JOHN ROBERTSON takes us into THE DARK ROOM! ฿600 in advance. ฿800 on the door.